About four years ago, I visited Waterloo, Canada. The main purpose of the trip was to visit the headquarters of Research In Motion, the now-floundering maker of the BlackBerry line of smartphones. RIM was at that point at the zenith of its power. Its share price earlier that summer had hit a historic peak of $144.56 — or about 19 times the price it was trading at today — that it would never see again. Apple’s iPhone had been on the market for a little more than a year, and Google’s Android was barely on the scene. 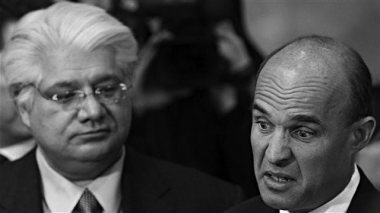 RIM’s co-CEOs, Jim Balsillie and Mike Lazaridis, both of whom I interviewed, seemed in utter denial to the threat the iPhone and Android so clearly represented, even then. With the shares trading at $7.39 as of the close of market today, the devastating slide in RIM’s share price has done incredible damage to the personal fortunes of the two founders: As of April, Lazaridis and Balsillie together still owned nearly 11 percent of the outstanding shares of RIM. As of today’s closing share price, the paper fortunes of RIM’s two founders, once about $4 billion each, has declined to $219.2 million for Lazaridis and $198.8 million for Balsillie, according to Canadian regulatory filings. So it goes. RIM’s survival as a going concern is now officially in doubt. Investors now value the company as being worth less than $4 billion, and of that more than half is its $2.2 billion in cash. With operating expenses at their current level running at about $307 million per month, RIM has enough cash on hand to fund operations for another seven months or so. The company will be firing people and restructuring its operations to lower those costs and buy time. But time is not on its side. Its options are dwindling, and it will either end up in the hands of another company, be chopped up into pieces in a bankruptcy proceeding, or cease to exist. But time is on the side of the two nonprofit foundations that the two RIM co-founders started when they were at the height of their wealth. In fact, there’s a pretty good chance that they will outlive the company that generated the wealth that funded their creation. By far the most well-known nonprofit linked to RIM is the Perimeter Institute for Theoretical Physics, an institution founded in 1999 primarily with $170 million in donations from Lazaridis’s personal fortune. Its mission is to provide a place where some of the world’s smartest people come together to try to unlock the secrets of the nature of the universe. 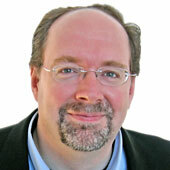 Greene is not the only superstar lecturer who has given talks in Waterloo under the auspices of the Perimeter Institute. In 2008, Stephen Hawking was named the institute’s distinguished research chair, and has regularly visited to give lectures like this one in 2010. 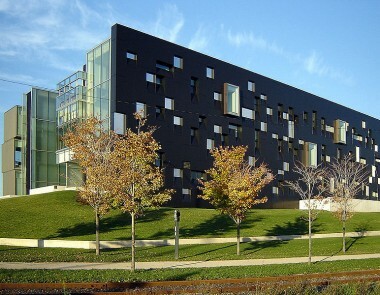 In short, the Perimeter Institute has, in its brief life, become a heavy hitter in the field of theoretical physics. It’s also living well within its means. According to its annual report for the 2011 fiscal year, the institute exited the year with nearly $272 million on its books, and reported $18.6 million in operating expenses, more than half of which was spent on research. Aside from the gift from Lazaridis, the institute has secured $50 million in grants from the federal government of Canada through 2017, and another $50 million from the provincial government of Ontario through 2021. It raised an additional $5 million in private donations. Its spokesman, John Matlock, told me that its fortunes aren’t directly linked with those of its founding benefactor: “Perimeter was founded through the vision and personal philanthropy of Mike Lazaridis, and the institute continues to grow its research, training and outreach activities via a successful public-private partnership involving a wide variety of members who equally value the importance of theoretical physics,” he told me via email. It’s a similar situation at the Centre for International Governance Innovation (CIGI), a global policy think tank founded by Balsillie in 2001. Its mission is to suss out through research the complicated questions about how world governments can do their jobs better, and it aims to have some influence over actual policies that get enacted. One bit of credit it claims is the research that led to the creation of the G20 group of major economies. It appears to be similarly well-funded; it exited the year with about $203 million in its endowment, according its 2011 annual report, and reported operating expenses of $38.4 million. CIGI began with a combined $30 million gift from Balsillie, who gave $20 million; and Lazaridis, who gave $10 million. Another $30 million in matching funds came from Canada’s Department of Foreign Affairs and International Trade. Its $69 million campus was built with $50 million in federal and provincial aid, and sits on land leased for 99 years rent-free from the City of Waterloo. Regardless of how they’re funded, these institutions will, by all appearances, live on long after RIM as we know it today becomes a memory.